When an author who is worth their weight in ink sits down in front of their computer to write they are performing an act of regeneration. They are participating in a monumental miracle of nature. The writer slits their wrists and lets their blood seep into the keyboard, which will in due season, bring forth the fruits of inspiration and perspiration that hungry readers will enjoy. Justin Thomas (A.K.A Teferu Azr), 35, has earned the right to count himself among the elite of the planter class. For most of his life he’s been making words work like William Wordsworth so you can appreciate a word’s worth. The author of five books—including the groundbreaking epic poem, Ronin Poetz (2000) and the critically acclaimed novel, A Company of Moors (2010)—is on the path to reap the benefits of an exceptional literary harvest. 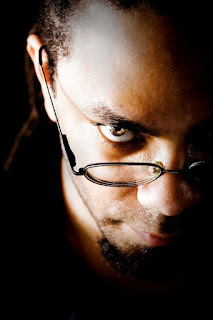 Thomas took some time out of his busy schedule to chop it up with Mind Glow Media about his latest novel, The Ghost of Gabriel’s Horn. The book tells the exciting tale of a remarkable jazz trumpeter by the name of Horatio Peters, who is the son of legendary trumpeter, Pete Peters. Driven by his ambition to do justice to his murdered father’s legacy—which thereby cements his very own—Horatio’s journey into the unknown takes him to Clarksdale, Mississippi where he meets with his dad’s music instructors Jackson and Gaston Fable. In this vividly written tale of drama, magic, and intrigue, young Horatio embarks on his mission to unravel the jazzy musical notations that hold the keys to a restless infinity. So your new novel is entitled “The Ghost of Gabriel’s Horn.” How did the storyline and title evolve? 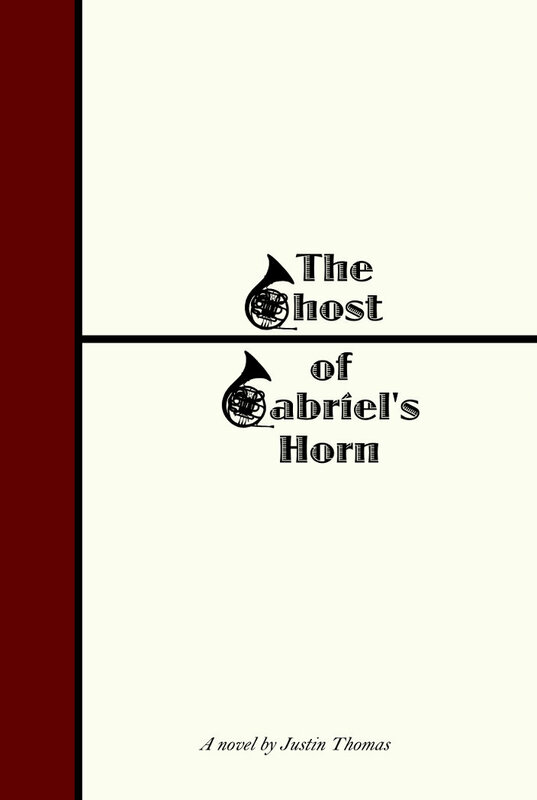 The Ghost of Gabriel’s Horn has been in development, as a story, since 2001. Before then, the title was in a notebook waiting to be used as a line of poetry. Sometime in 2001, January or February, I happened to turn to PBS and saw Lauryn Hill, Chuck D—and I believe Clive Davis—doing a speaking engagement. There was another brother there too. It was towards the end when I caught it. The brother, whose name I can’t recall, compared modern jazz players to Jedi Knights. Now if you compare anything to Star Wars, then you immediately have my attention. But he went on to say, as more people turn to computers to make music, here are these cats who walk into cities trained in the old arts of music. Their horns or instruments were like their lightsabers—archaic weapons of a civilized age. I heard that and a light bulb went off. Most of what you see as a story was created from that. It started as a screenplay. I wrote about 35 pages of it. Some of what was written remains, but most was changed. Then it was going to be a short novella. But, I sat on the idea until now. 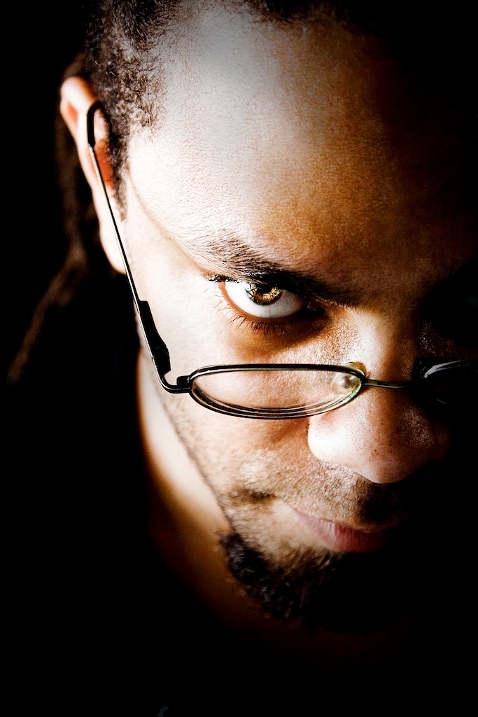 Your novel is skillfully layered with occult themes and concepts. How were you initially exposed to the occult? I’ve loved Star Wars since jump street. It’s been a huge influence. George Lucas always talked about reading mythology as inspiration. So, at a young age, I did. When I read about the inspirations to artists and writers I admired, mythology was always there, or some form of spiritualism. In 1995 I read Anthony Browder’s Nile Valley Contributions to Civilization. It was there I saw the Ausarian mythology presented in a way I’d never seen before. This felt like the foundation of all stories told. I continued to study myths, their sciences, symbols and meanings. Also, because so many religions try to scare their audience, I wanted to know if there was anything to really be scared about. Turns out, no, there isn’t. It’s all from Black people. There was a meaning behind all of the stories and symbols we created, good and bad, but nothing to be fearful of. In the short story “Tales of the Djedhi” in my book 12 Stories High, there’s a character, an elder, that explains why sometimes occult imagery can be so vivid and horrifying. An elder character gives somewhat the same explanation in The Ghost of Gabriel’s Horn. You know, an important part of writing convincing fiction is having foreknowledge of the subject matter in your story. Did writing a novel of this magnitude require you to do research on the history and culture of jazz, or were you able to pull entirely from what you already knew? I’ve always been exposed to jazz. My mother and father are from Baton Rouge, Louisiana. Every summer we’d drive down from New York and visit, ultimately going down to New Orleans. It’s all there. Jazz, blues, and the occult aspects of them. Voodoo. Voudon. Hoodoo. Plus, during Christmas, we had jazz, blues, and Motown blaring as we decorated the tree. I did research a good deal of music styles, though. The Moors and ancient Kemites (Egyptians) played improvisational music that can best be described as an ancient or medieval form of jazz. I read a couple of books on the mathematics of Egyptian and Moorish music, and the occult meanings of blues and jazz. That all helped with the mystical, musical elements that flow throughout The Ghost of Gabriel’s Horn. Other elements came as I was doing random research. I’d come across something and say, “That would work well with Gabriel’s Horn.” And I’d note it in some notebook. Do you have a favorite jazz album? If so, what is that album and why is it your favorite? No favorites. I love it all. The greats, and those not so well known. Odd, though. For all the jazz in The Ghost of Gabriel’s Horn, I was havin’ conversations with Jimi Hendrix to give the project a psychedelic blessing. Well based on what I’ve been reading, it looks like you got it from him. Horatio, the novel’s main protagonist, is a musician who is obsessed with his father’s musical legacy—and understandably so. Is there any one author who personally inspired you at one time or another to push beyond your perceived limitations as a writer? If so, would you call your fascination with their work an obsession? There have been lines in books I’ve come across where I’ve been like, “I want to write as good as that one line.” Or some Hip Hop MC has a line that makes me go, “Wow. He just told a whole story in one or two lines.” But, I’ve been writing since an early age. And there have always been moments that have shifted the course of my creativity. Such turning points would be, Star Wars, a comic book named Sword Quest, which was attached to an Atari 2600 video game. Marvel and DC Comics. Mythology. In the fourth or fifth grade, when I learned Alexandre Dumas of Three Musketeers and other classic, historical adventure books was a Black man. That was profound. Also, Black, Southern Hoodoo folklore has always been there. The mythology is so simple and whimsical, and deep. Shakespeare’s Henriad (Richard II, Henry IV prt 1 & 2, and Henry V). But, most of all, it’s been a musician who has been my greatest inspiration: Prince. All the criticisms people have of him can’t take away the fact that he does it all. He composes, sings, plays many instruments, choreographs. He’s not an entertainer, he’s a musician. I’d like to believe I approach my gift in the same way he approaches his, minus the high heels. Your writing is very surreal and cinematic. Do you have any aspirations to write movie scripts and bring your imagination to the big screen? Absolutely. I do my best to see things as a movie trailer in my head before I start writing. I approach my writing like making a movie. Setting, like scouting locations. Characters, actors. Direction. Production. I set a page count like a budget. But, the reality is, Hollywood doesn’t really fund the type of ideas I have. Strong, Black ideas. [Quentin] Tarantino has Django Unchained coming out. The Ghost of Gabriel’s Horn deals with two, very violent slave rebellions that are essential to the overall story. I’ve heard Black filmmakers wanted to make similar films like Django Unchained, but Hollywood wouldn’t fund them. I’ve been hearing this since the ’90s. It’s probably safer for it to come from a white guy. It’s not as threatening. We might actually mean “Kill whitey” if we make a movie about it. But as intense as my stories can get, even with the commentary, I think they can serve as learning materials above all. My book of short stories, 12 Stories High, is composed mostly of screenplays for short films turned into short stories. The Ghost of Gabriel’s Horn was initially conceived as a short film. But it’s a very grueling process to make a film. I’ve been there. And, if you want to make a great film, it takes a good deal of money. If someone has an extra $100 million dollars, I’m game. Why did you name your publishing company TwinGriffin Books? I was initially Ancient Art of Facts Publishing. Sounded quirky. A play on words. Sounded very ‘conscious’ wannabe amateur. It was time to grow up and sound professional. My last name, Thomas, means Twin. My mother’s maiden name is Griffin. It combines my mother and father’s family. It sounds far more professional. Done the paperwork. It’s mine, logo and all. My mother’s family was also a prominent Black family in Baton Rouge. They owned clubs from Baton Rouge, New Orleans, to the Bay Area of California. Hence the Griffin Company of my book A Company of Moors. Would you recommend self-publishing to an author who is just getting their start in the business, or would you suggest that they cultivate a loyal following with a mainstream publisher first? I say, whatever works. Do research, though. Remember, mainstream companies will only do so much with Black authors. So it does depend on what type of material you’re presenting. The material I’m presenting is not what mainstream companies want to push to Black readers. So, I’ve been forced to be independent. I’m cool with that. I’m slowly building my company. One client. Several editors. A printer and a world-wide distributor. The hardest part is the publicity. But you can score a good publicist who would work with you even if you’re independent, which you’d need anyway even if you’re with a mainstream publisher. Being mainstream doesn’t always equal success. First time authors might see an advance of $1,000 to $10,000 for a title. That’s not all that great, especially when your royalties can be less than 10 percent of book sales. If you have a five-year contract, then you’re screwed, because your royalties and next advance will be based on whether or not your book covered its costs. And if you don’t sell well because you weren’t promoted well, the publisher will sit on you, and you can’t go anywhere else if you have another idea because you’re under contract. The biggest authors are paid advances of up to 6 million dollars. Sounds good, but that advance might still be based on what their last project sold. Your royalties aren’t all that great either. I’ve heard the biggest writers might see $2 per book sold. A book might sell 1-2 million copies. So, your 6 million advance, plus the 2 million when all royalties are in. That’s 8 million. But you won’t see that all at once. That sounds great to an average Joe working a 9 to 5, but it’s a hard hustle. And companies, with contracts, will do their best to make sure you don’t get that. To counter that, you’ll have to get a good publicist—who will also work for a percentage of your cut. You’ll need a lawyer. That’s more money. It’s a struggle, and that’s for seasoned veteran writers. The big guns. Independent, you might see all the money from sales after print and store costs, but you’ll need a good deal of publicity. You’ll see far more than $2 per book. You could see $6 per book, or even half the cost of the book. Parlay that into 250,000 sales of a title. You’ve made just as much, or more, than the mainstream author in sales by selling less. Self-publishing costs less nowadays. So your overhead is small. That’s why advertising costs have gone up. It’s a tactic, and one that definitely hurts the independent Black author, especially the real creative ones. The average cost to advertise in a Black magazine will run you close to $60,000. So much for [Black] solidarity. There’s also some dirty tactics used to stop independent books from getting to store shelves. Yes. You should start off hustling to get your materials and plan ready, but as you build steam, there should come a point when you don’t have to scurry like a rat. There’s more to say, but that’s a two-hour lecture. In the end, I really am looking to put together a coalition of very, creative Black authors and artists. Now that would really be something. Speaking of lectures though, a lot of readers may not know this, but you were on the lecture circuit speaking on the Moorish legacy long before it became popular to do so. We’re talking about 2004, 2005 when there was no one under 30 talking about the Moors—at least not on video. From your research, can you describe the impact that the Moors had on European literature? Again, that’s another lecture. One I never got to do. But, I’ll say this very quickly. If the Moors didn’t write the original version of whatever literature is out there roaming around and being passed off as Classical European Literature, then the Moors were often the subject matter of the piece. With December 21, 2012 about a week away, what does the date mean to you? I don’t know, really. I used to talk about 2012 in my lectures. What some people never mention is that many ancient cultures also had that set date, or spoke on time periods that would coincide with that date. Egypt, Nubia, some Asiatic cultures. The Olmecs too. But it’s the Mayans that the credit is given to. From what I’ve researched, other cultures have said it’s the end of an age. Nothing more, nothing less. Perhaps it’s a return to the old ways. The East African prophecy says an East African King will walk hand-in-hand with the feminine Aquarius. I think it’s kinda funny that we have a man of East African descent in the White House. I don’t think Michelle Obama is an Aquarius, but I believe she’s born near the cusp. Ah, close enough. Right? [Editor’s Note: Michelle Obama is a Capricorn who was born on the cusp of Aquarius]. Doing a lot of research has led me to believe no one knows anything about 2012. It’s all speculation. If 2012 means we all get spiritual and listen to Jimi Hendrix, Miles and Coltrane, The Doors, Led Zepplin, Sun Ra, and deep ’70s funk music, then cool. People talk about an alignment of the sun, earth’s center and the galactic core, where there is a black hole. But the alignment happens every year on December 21st. That’s supposed to be a Dooms Day scenario, but if it happens every year, we’ve been killed multiple times by now. The Mayans didn’t really say anything about Dec. 21st 2012. Their calendar just happens to end on that date. There’s no explanation as to why. Everything else is the speculation of “super conscious” gurus from communities all over the world. To be brutally honest, I didn’t become “conscious” as a Black person to substitute one religion for another, or to tear people apart because they use a certain spiritual system to get closer to what they call God, or even attack a person’s worldview of history or some aspect of contemporary society. It was to remove the fear and spookism that many institutions—political, religious, academic, or economic—use to control people. As a whole, I do research to be more aware of the world around me, and I decided to incorporate all this into my writings, to help me educate people. And since the origins of most of the world’s knowledge comes from ancient Black cultures, I wanted to see what we meant by it when we first wrote it down. We’ll see what the hoopla surrounding Dec. 21st, 2012 is soon. We have no choice. But people should just relax. Every day is a spiritual day, if you let it be. I read somewhere that, “if it’s a good day to live, it’s a good day to die. [Which ever you choose to do], do it with dignity. The fear of dying is only surpassed by the fear of living. Fear erases the quality of life.....needlessly.” To me, prophecies, understood or misunderstood, are like Santa Clause. They know if you’re naughty or nice, regardless of religious or spiritual affiliation. You’ll be separated in kind, and get what you deserve when the time comes. So, if the world ends in 2012, let’s party like it’s 1999.